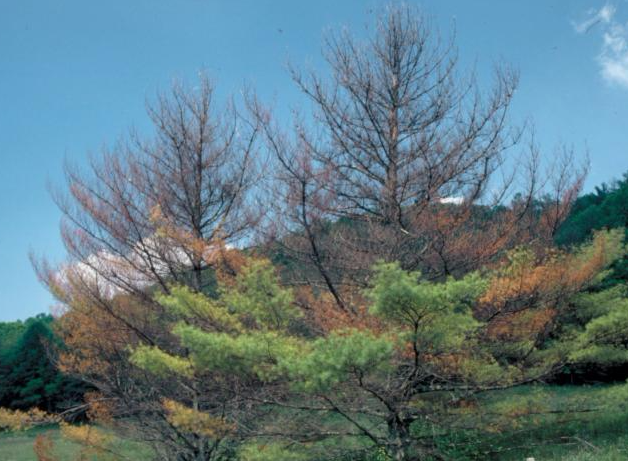 Just when we think things have slowed down…not so with the Pine Sawfly. 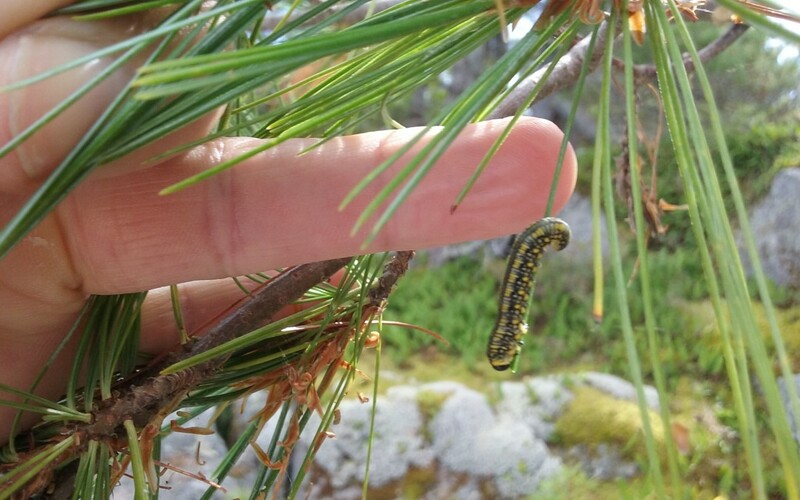 Because of the grave concern regarding this larvae, we felt it important to notify everyone ASAP to this wide spread larvae found prevalent in Pointe au Baril this fall that can play havoc on our beloved white pine trees. Please read the article below and respond if you are aware of its presence on your island. But there is good news to report as well! Please welcome the our new Members from Sturgeon Bay! Then, have one last view (from the air) of our island paradise! Finally, please feel free to download and print out the Yearbook Updates for 2015 so you have the most up to date information for your island friends should you want/need to contact them. 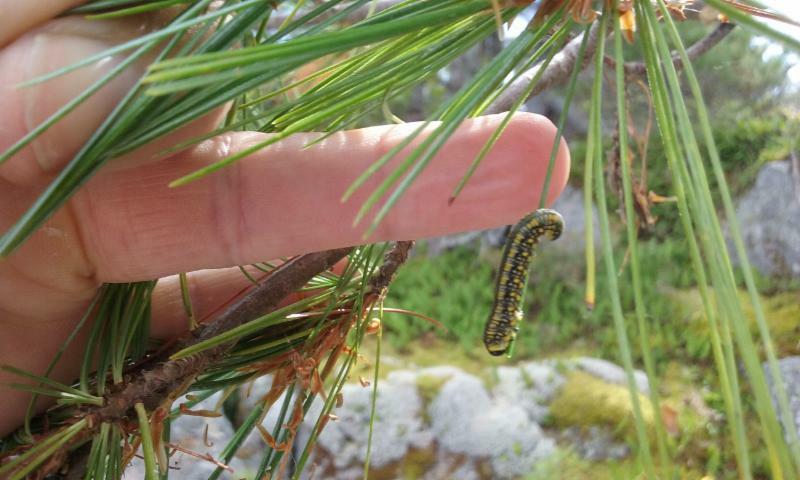 It has come to PaBIA’s attention that in these past two to three weeks a growing number of caterpillar-like larvae have been found abundantly on pine trees in Pointe au Baril. Perhaps you noticed the huge amount of debris on your decks and wooden walkways and docks but didn’t know what was causing it. 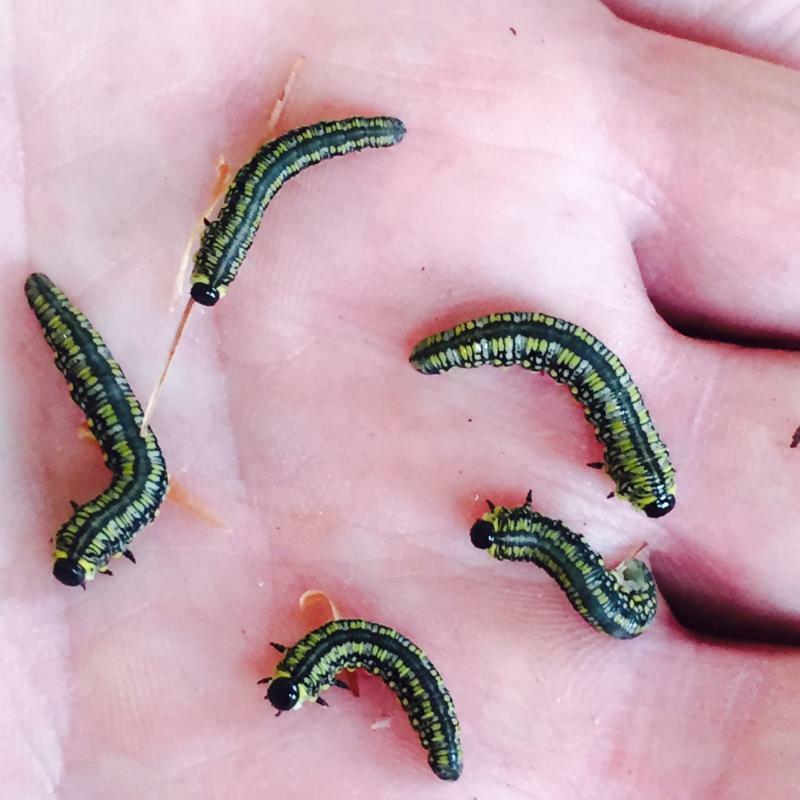 What we have learned is that these larvae are not caterpillars but rather the Pine Sawfly larvae that are about to go into their cocoons and who have been eating the pine needles and dropping the debris onto the ground. It was suggested that by using a fire hose to rid the tree of these larvae works SO LONG AS one then KILLS the larvae on the ground, otherwise they will just climb back up the tree. 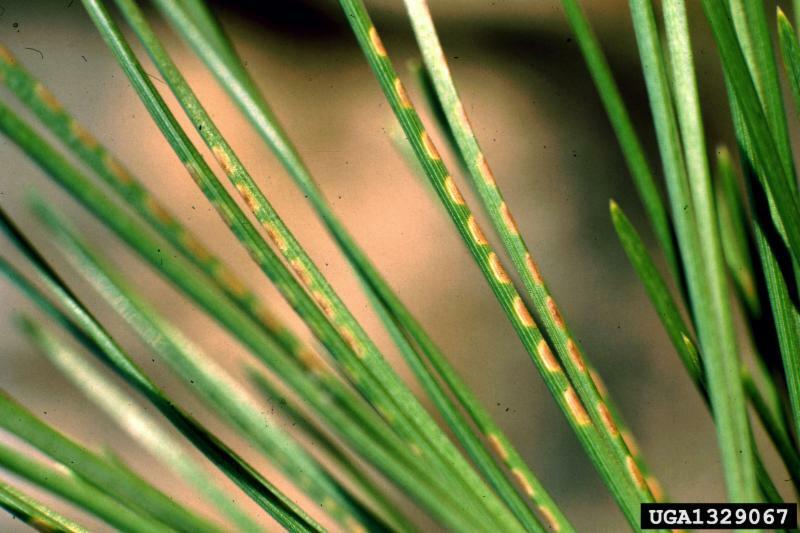 this particular infestation can cause widespread mortality of white pines. Please read the article on the website regarding this…an article Shelagh wrote for the Yearbook 2015, pg 98-99. Should you be spending time at your cottage this fall, please look hard at your pines. Should you see these little guys, please email Shelagh Grant to let her know your island number so she can continue to document the spread of the larvae to help determine the extent of this problem for the ToA. Have You Seen PaBIA’s New Website? Be sure to check us out on our brand new website! (Two weeks ago when we announced its unveiling, some of you, like me, went to the site just before it launched…but be assure, it is up and running now! Have you checked out our new bulletin board to support individuals wanting to post items? Remember you now have the opportunity to make comments on our blog or ask questions about articles you find interesting. We hope you find the new website as exciting as we do and that you visit it often. It is a work-in-progress, so send your comments and suggestions to Helen Bryce. See you online! Welcome All Sturgeon Bay Ratepayer Association Members! We are pleased to announce that all 46 of the the Sturgeon Bay Ratepayer Association members have decided to fold into PaBIA! Welcome! Some of these folks were already PaBIA members, so we welcome those new to us and hope they have found the information sent to them helpful and informative. 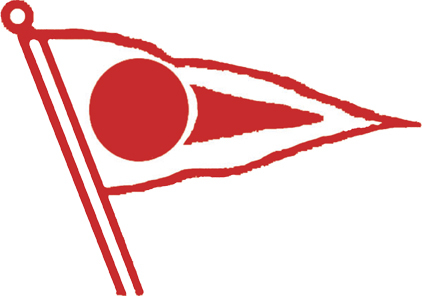 In the past, our Marine Patrol has always patrolled Sturgeon Bay and PaBIA has provided necessary markers, so now we can encourage those members to become active in our association! The Board, when it met in August and voted to bring them in, felt it important to bring them in effective this fall so they could take advantage of the off season patrols. As well the Board felt we wanted a member of the Sturgeon Bay Association to become a member of the Board of Directors and Earl Manners, already a PaBIA member, has agreed to do so. Forgot to post your Patrolman’s Tags before closing for the season? 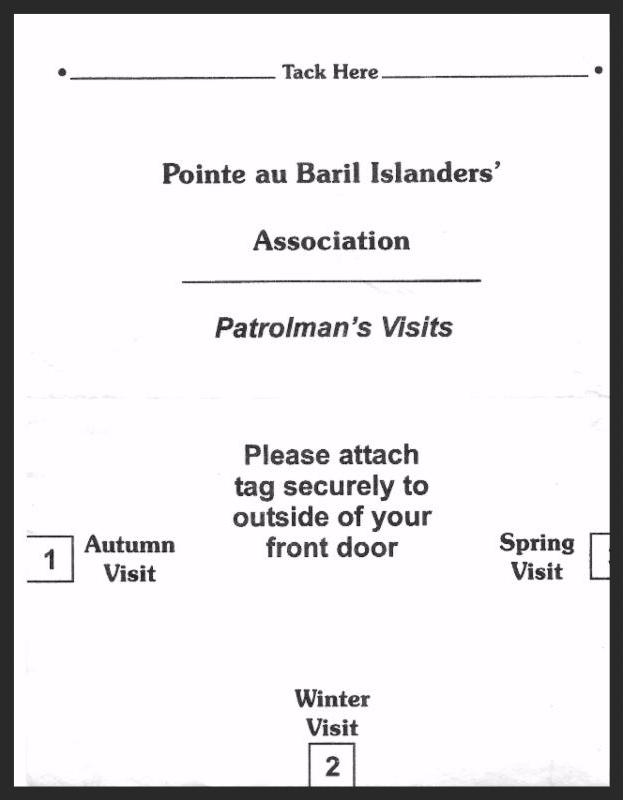 Should you have forgotten to put your already purchased patrolman’s tag onto your cottages for this winter’s patrols, please contact Nancy Rogers who can work with you on this. Remember, for each additional building you wish checked beyond the number of tags you have through your memberships, each new tag costs $30 and can be purchased by contacting Nancy Rogers. 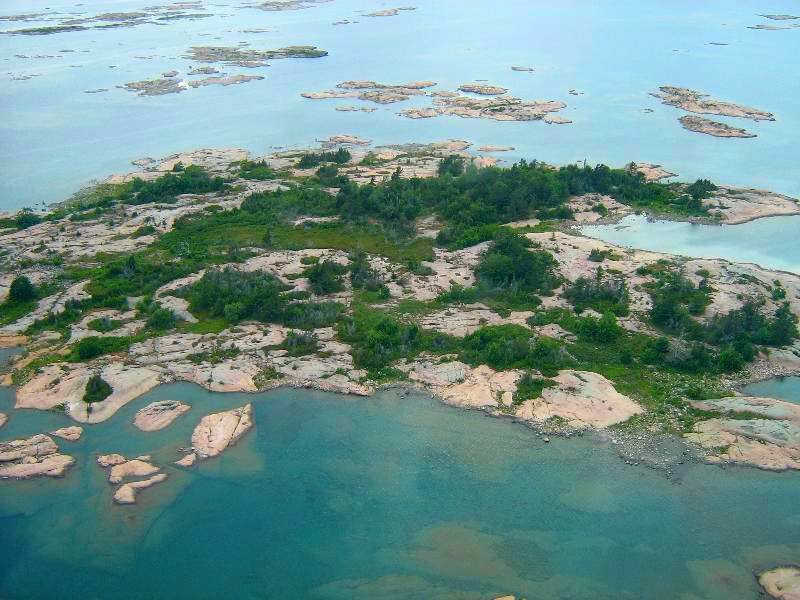 Pointe au Baril from the Air! Did you ever want to know what it was like for our resident PaB kitefliers? Please check out this YouTube video of our kitefliers, John Lawler, Todd Cowan and friend, Christian, from John Pepper’s drone’s perspective! It’s a perfect day in the open waters of Georgian Bay! An issue has recently come up whereby staff at the Township has restricted local residents from a prior precedent of lowering the Canadian flag to half-mast at the Community Centre when someone in Pointe au Baril passes away. This custom of honouring the deceased is a very important one to the permanent residents of PaB. Therefore PaBIA’s President, Julia Sievwright, has written a letter to our Councillors in support of a challenge to this new ToA policy, a copy of which is attached. Throughout the summer, we’ve printed in these eBlasts updates all those changes since the Yearbook was written in March. For your convenience, we have compiled two documents: Yearbook Updates and Sturgeon Bay Ratepayer Assn New PaBIA Members. A87 Pijiki & Kyosk, A88 Treasure Is. Kay Sprenger, Station Channel, long-time Pointe au Baril resident, wife of the late Oscar Sprenger, August 2015.